Origin Mediterranean region which can also be found in North America and Asia. 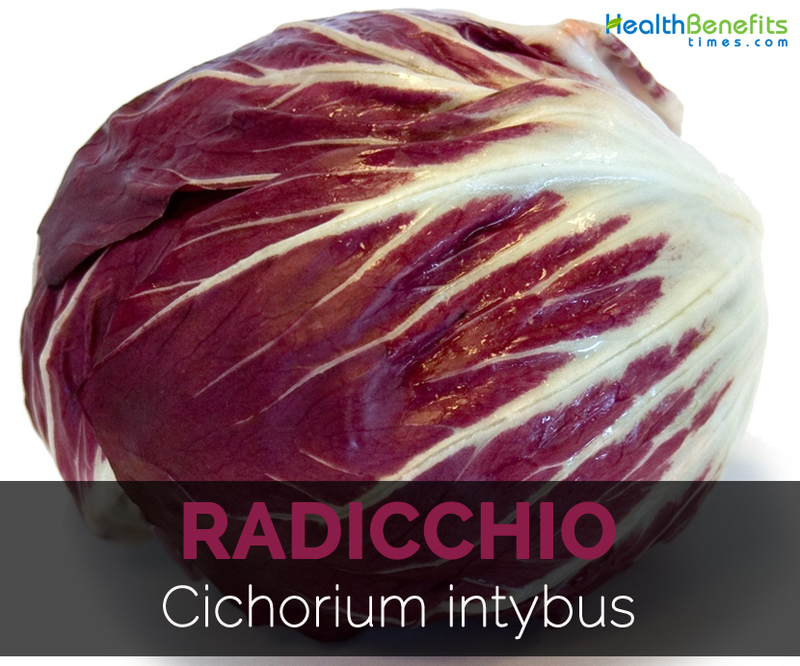 Radicchio (Cichorium intybus) is a kind of leaf chicory , also known as Italian chicory, Rosette chicory, Heading chicory, Leaf chicory, Spring chicory, Italian dandelion, Red endive and Red chicory. It could be found in North America and Asia. 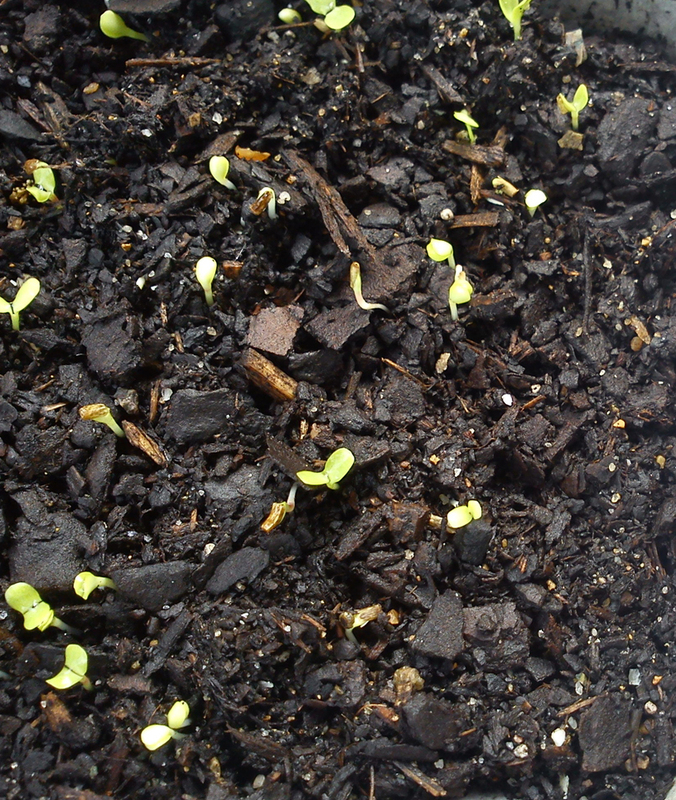 Radicchio needs well drained and loose soils to grow. 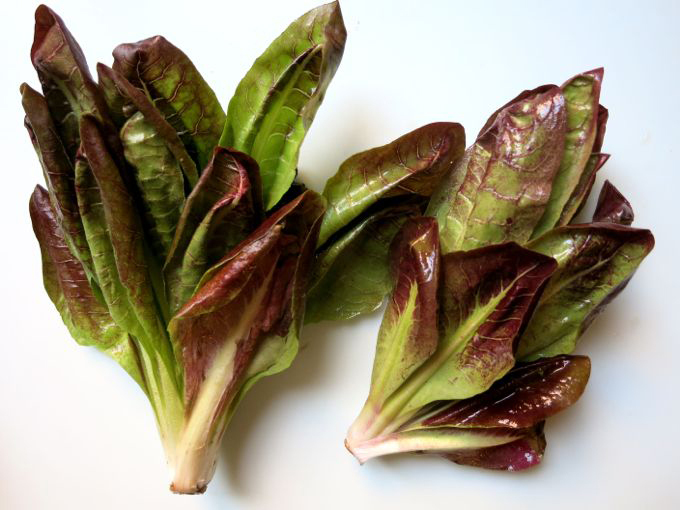 Chioggia, Treviso, Sugarloaf, Verona Red or Rossa di Verona, Early Trevis and Castelfranco are the varieties of Radicchio. 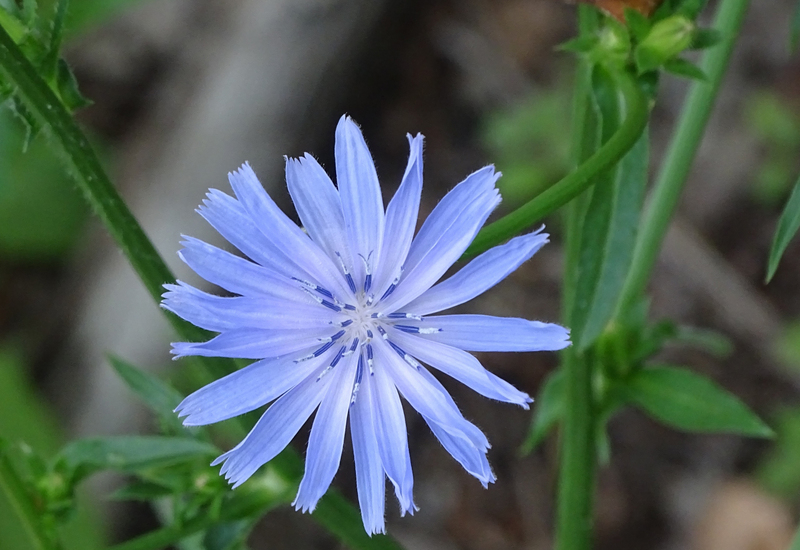 It is a perennial plant usually grown as an annual. The plant bears the upright, elongated heads, conical in shape which is 3- 5 inches across. The heads are bronzy green- magenta or wine red colored. Its leaves are thin with white veins. 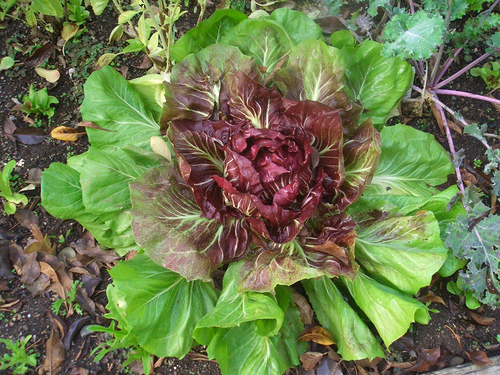 Radicchio is native to Mediterranean region which can also be found in North America and Asia. 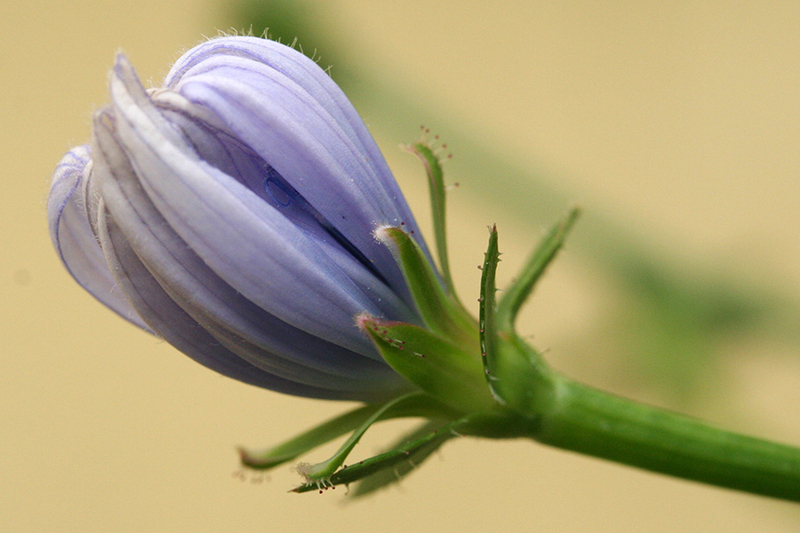 During ancient times, it was consumed for purifying blood and to treat insomnia. 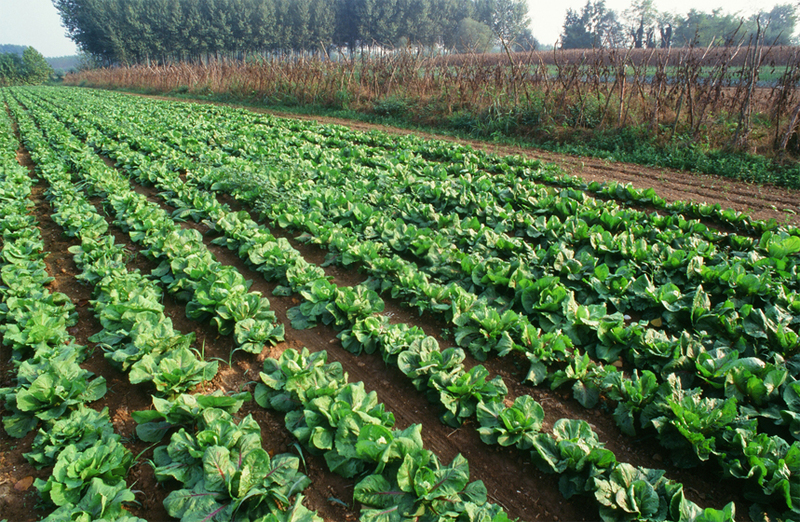 The plant was modernly cultivated in 15th century. In 1860, the Belgian agronomist named Francesco Van den Borre used imbianchimento, blanching or preforcing technique to create dark red with white veins. 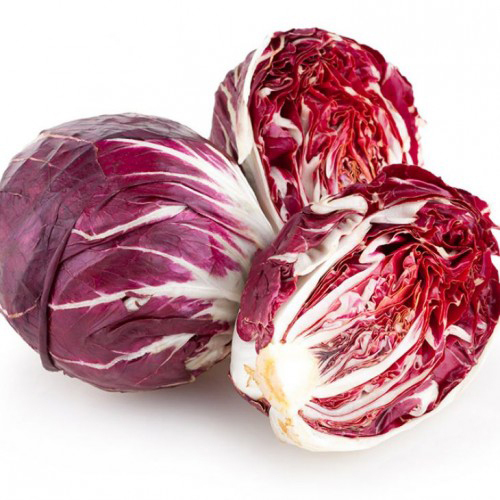 Raw Radicchio consists of 37.26 grams of water, 0.4 grams of fiber, 0.28 grams of carbohydrate and 0.57 grams of protein per 40 grams. 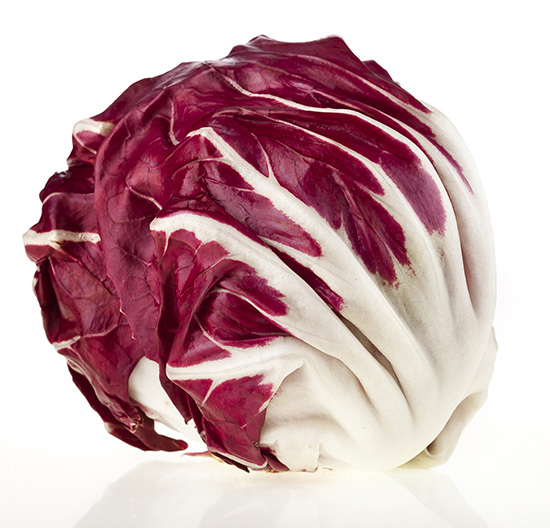 The minerals present in the Radicchio are calcium (0.80%), iron (0.23 mg), magnesium (1.19%), phosphorus (2.29%), potassium (2.57%), sodium (0.60%), zinc (2.27%) and others. It provides only 9 calories and 0.1 grams of fat. Besides its bitter taste, Radicchio is a great source of vitamins, dietary fiber and minerals. It also provides phytonutrients and antioxidants. It is fat as well as cholesterol free and also have low amount of calories. 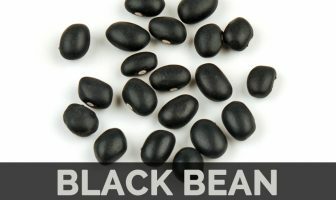 It is an excellent source of potassium, selenium, calcium, Vitamin C, Vitamin A, Vitamin E, Vitamin K, folate and Vitamin B. It maintains the cholesterol as well as blood pressure levels along with improving concentration. Vitamin K helps to prevent arteries calcification which is one of the major causes for heart attacks. It carries calcium out of arteries and does not allow forming into harmful and hard deposits of plaque. It prevents the hardening of arteries. Vitamin K helps to reduce inflammation and prevents the cells which line the blood vessels such as arteries and veins. Vitamin K helps to maintain the blood pressure and reduces the risk of having cardiac arrest. Vitamin K increases the protein content which is needed to maintain the calcium in bones that lowers the chances of osteoporosis. The body requires Vitamin K for using calcium to form bones. The evidence shows that Vitamin K reduces the chances of bone fractures by enhancing the bone health. The high intake of Vitamin K2 reduces the chances of hip fracture by 65%. The evidence shows that Vitamin D and Vitamin K works together in order to enhance the density of bones. Vitamin K has the positive effect on the balance of calcium which is required for the metabolism of bones. The intake of foods rich in Vitamin K by the injured patients helps to heal the broken bones and prevent twisted ankles. Vitamin K lowers the PMS cramps and menstrual pains as it regulates the functions of hormones. Vitamin K also acts as a blood clotting agent by preventing over bleeding during menstruation and also relieves the symptoms of PMS. Over bleeding is the cause for more pain and cramps during menstruation. The research shows that the deficiency of Vitamin K could worsen the symptoms of PMS. Vitamin K can reduce the chances of colon, nasal, prostate, stomach and oral cancer effectively. The research shows that high intake of Vitamin K assists the liver cancer patients by improving their functions of liver. The study shows that high intake of Vitamin K helps to lower the chances of cancer and cardiovascular. Vitamin K is essential for the brain health. It involves in the sphingolipid metabolism which are the molecules widely found in the cell membranes of brain. A study found that vitamin K dependent proteins are particularly important for the brain. Vitamin K involves in the nervous system by involving in sphingolipid metabolism, which is a class of molecules that occurs naturally and is present in the brain cell membranes. The evidence shows that Vitamin K has anti-inflammatory properties which prevent the brain from oxidative stress caused due to damage made by free radicals. Oxidative stress may lead to the development of Alzheimer’s, cancer, Parkinson’s as well as heart failure. Copper is essential for the reactions of 50 various metabolic enzymes that takes place in the body normally. The enzymes reactions are essential for the proper functioning of metabolism which allows nerve for communication. The copper enzymes are found in large number with high brain, liver and heart metabolic activities. Copper is required for the cardiovascular system, nervous system, digestive system and metabolic process. Copper is also required for ATP (adenosine triphosphate) which is the source of energy for the body. The deficiency of copper may lead to slow metabolism, poor metabolic health and low energy. Copper possess an anti-inflammatory properties which provides relief from the stiffness and pain related to arthritis. It assists the strength of muscles, repairs connective tissue and lowers the joint pain. The arthritis patients wear copper bands or bracelets with a belief that it can reduce the painful symptoms of arthritis. Copper is required for the proper function of thyroids as it works with potassium, zinc and calcium which help to balance the thyroid activities and prevents hyperthyroidism or hypothyroidism. Due to the complex relationship of the trace minerals, the rise in one should be balanced by other. Due to the excessive presence or deficiency of these minerals, the thyroid takes place. It leads to weight loss or gain, fatigue, chance in appetite or body temperature. Iron and copper work together to synthesize the red blood cells and hemoglobin. The studies show that copper is vital for the iron absorption from an intestinal tract and releases it into liver where it is stored. The iron level decreases with the deficiency of copper due to which the anemia could develop. The anemia patients could experience the symptoms such as muscle aches, fatigue, impaired brain function and digestive problems. The copper may help the conditions of neurodegenerative disorders such as Parkinson’s or Alzheimer’s disease. The high intake of copper could be toxic and results in poising of copper and impairments of brain function. The research shows that the deficiency of copper increases the chances of impaired brain function and cognitive decline. The roots can be mixed with coffee. 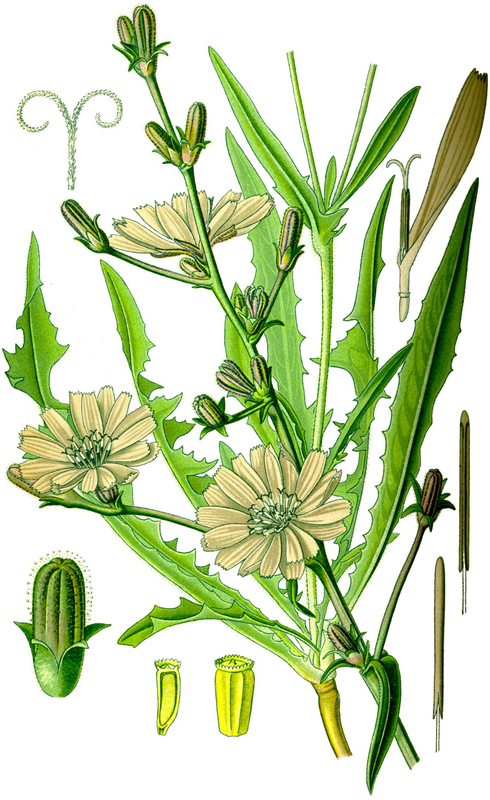 Cichorium intybus subsp. sativum Janch.